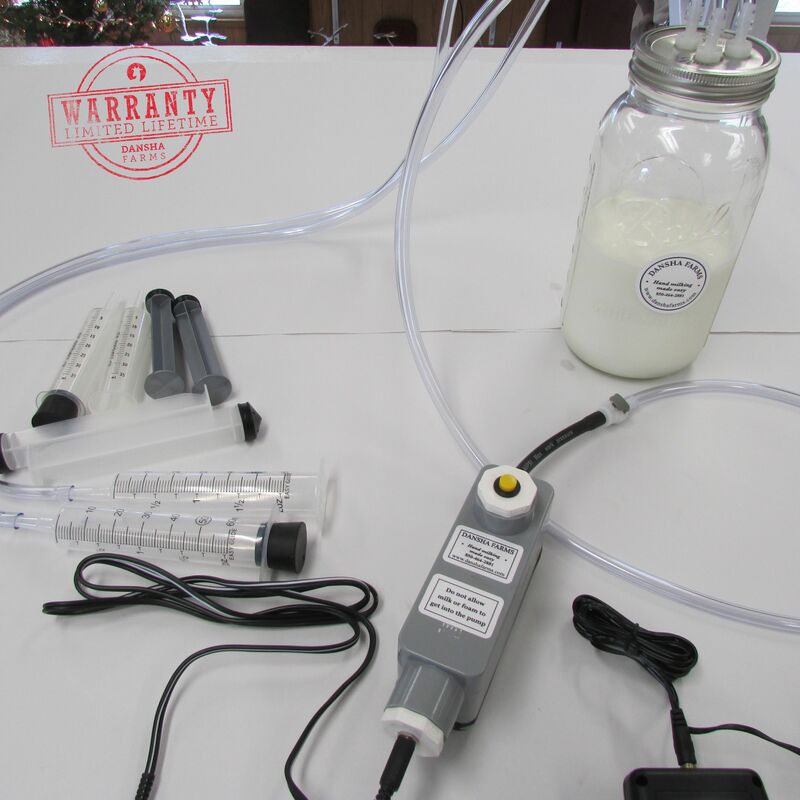 The Mini Milker Kit™ is for milking colostrum milk or milk from very small animals. 1-YOU BRING UP THE VACUUM UNTIL YOU SEE THE MILK FLOW, THEN STOP THE PUMP. 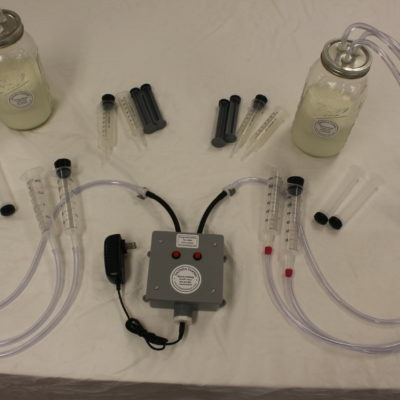 The Mini Milker Kit™ is designed to milk small animals to get colostrum milk or milk. 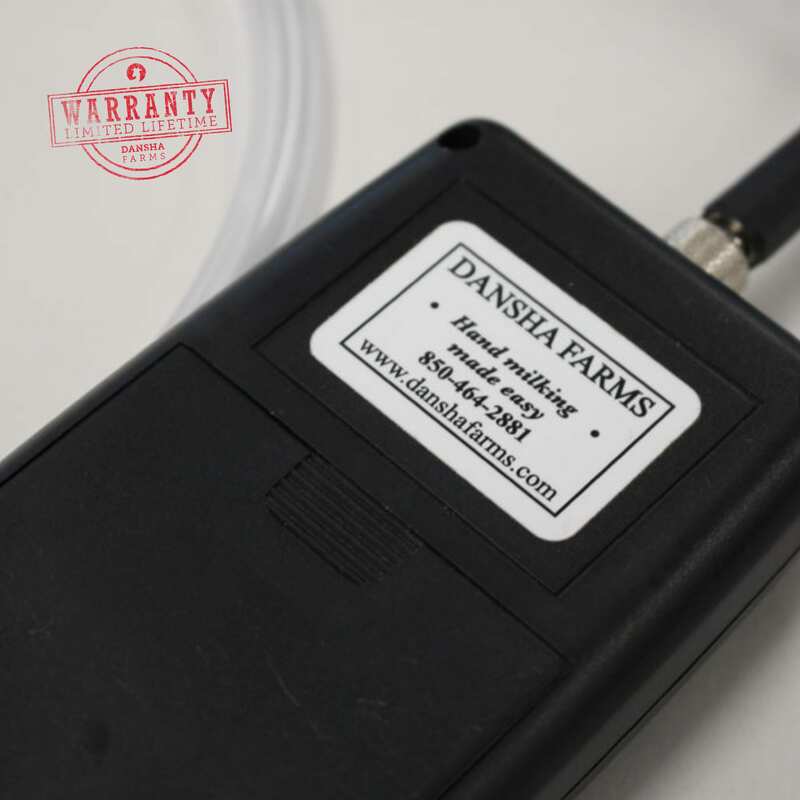 Many veterinarians and every day people use our mini milker to get colostrum milk or milk from small females such as dogs, cats, rabbits etc from females that can not or will not milk their young. 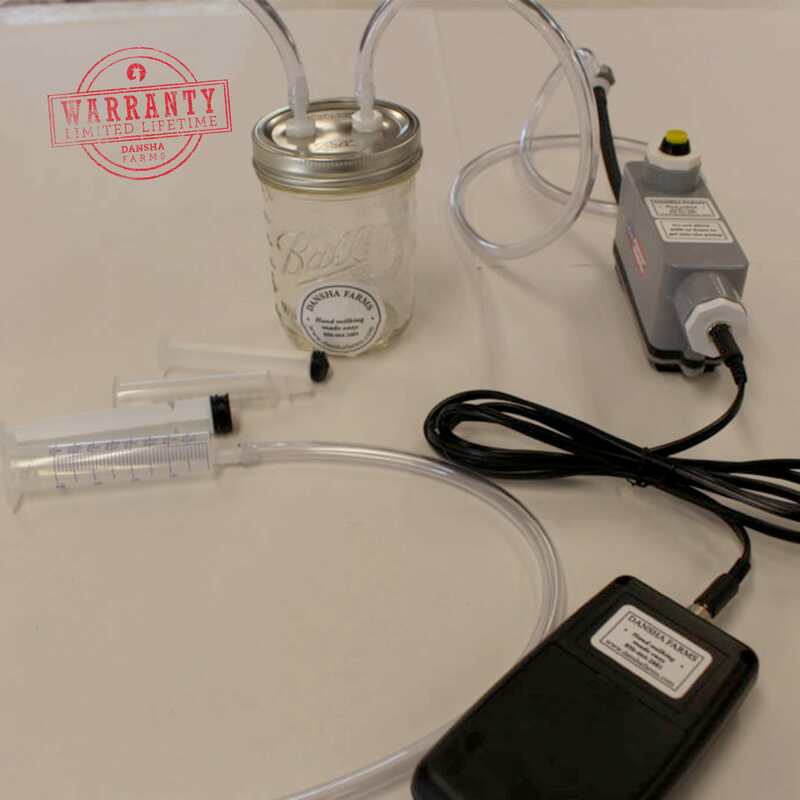 The Mini Milker Kit™ comes with a one pint milker bottle, a 20 ml and a 10 ml teat cup, a power pac with Six nicad rechargeable batteries and a battery charger. We also have european battery chargers for use in Europe, 220 volt. 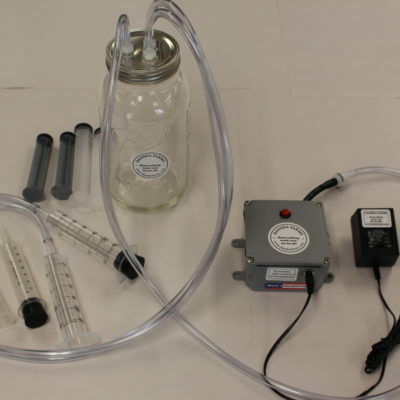 Please feel free to download the The Mini Milker Kit™ manual. 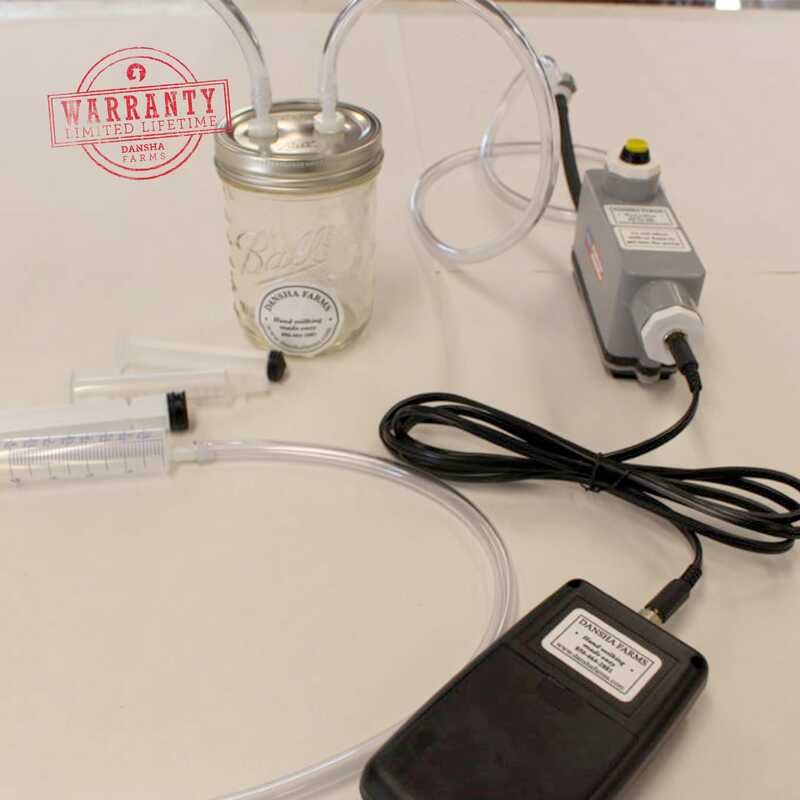 Included within the manual is additional milking information, tips, tricks and cleaning / sanitation methods.